These are elements from the game The Legend of Zelda: Majora’s Mask, by Nintendo, released in 2000. Majora’s Mask is a game full of depth. The strangeness of the setting, the urgency of the plot and the troubles of the characters are very fitting for stage. Koji Kondo‘s and Toru Minegishi‘s themes are brilliant works which can be developed over a narrative, making this a celebration of every aspect of the game’s story and music. This is not made only for Zelda fans. Majora’s Mask’s story is self-contained, and the opera is written in a way that everyone, Zelda fan or not, gamer or not, can enjoy. As both a musician and a Zelda fan, I found that a professional adaptation of the characters’ drama can become a rich and engaging stage work. The story focuses on Kafei and the retrieval of his wedding mask, which takes on a different approach due to Link’s absence from Termina in this version. I invite all fans of Zelda and music alike to help promote this project on the surreal tale of a parallel world that got to the point of no return. 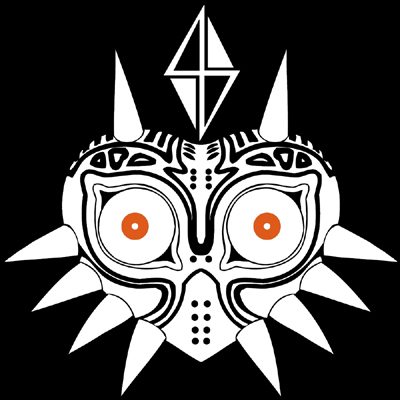 Thanks to reptiletc for the Majora’s Mask vector. The opera takes place in a branch of the timeline where Link does not come to Termina. Instead, Kafei, who is desperately searching for his stolen wedding mask, leaves town in a desperate search for Sakon on any unlikely trail he can follow. Through this, he visits the four corners of the world, and fills the roll that Link does in Majora’s Mask. This, if it can get Nintendo’s approval, will be a full production. The demos take place behind a curtain due to the fact it is currently being produced with a shoe string budget. Also, the demos are sung by volunteers, and exist so you can have an idea of what the finished product will sound like. It is not the finished product, and should not be judged as such.